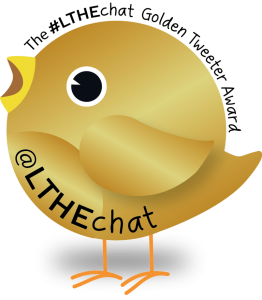 I took part in a Twitter chat organised by Hybrid Pedagogy on Friday (#digped). As ever it was fast and furious and there was no chance of catching everything that was going on. Another participant asked how to cope with the vast amount of tweets, and I replied saying that I just dipped in and out of the bits that caught my eye, and didn’t worry about the rest. As I reflected later, I realised that my attitude to these types of event had changed at some point – where once I felt that I had to try to keep up with everything I now accepted that I could not, and would not, and my social angst (FOMO) must be reined in. That’s hard to do, but I try. So how do we cope? How do we narrow it down to the things that really matter? How do we learn to focus on an aspect of a conversation and enjoy it to the max, while letting other aspects go by us. And, related to this – how do we avoid the feeling that the grass is greener everywhere that we are not? How do we concentrate on what we are doing and have confidence that it is just as meaningful as alternatives going on around us? And, as educators, how do we teach our students to learn in this internet age? Do we need a new pedagogy to help us to answer all of these questions? Maybe. Dave Cormier talks about rhizomatic learning as “a story of how we can learn in a world of abundance”. This approach involves letting go of the idea that learning is about devouring big piles of content, realising that nobody can know everything and that includes the educators! Now, anybody who participated in #rhizo14 or #rhizo15 will tell you that they were hectic roller-coaster experiences – nobody could keep up with everything that was going on – we had to learn to let go of the idea that we could “complete” everything. Rather than running as fast as we can in order just to stand still, then, we need to learn to relax and take time to smell the flowers. 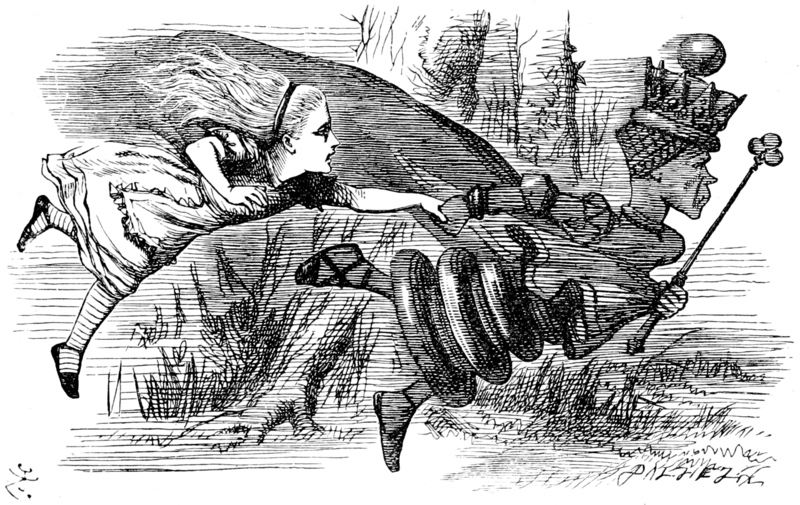 Image of Alice and Red Queen By Джон Тенниел [Public domain], via Wikimedia Commons. 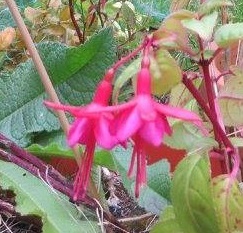 Flowers from my garden. 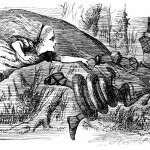 This entry was posted in Hybrid Pedagogy, Learning, Online learning, Social Media, Technology, Twisted Pair and tagged #digped, #twistedpair, Red Queen, Simon & Garfunkel, Twitter. Bookmark the permalink. Love this twisted pair. I think we’ve all been the Red Queen. And now I’m singing along with Simon and Garfunkel in my head. And smiled when I read the Russian transliteration of John Tenneal (sp?) in your image credit. I need to find a few minutes to try a twisted pair of my own, and thinking of using Steve Wheeler’s #twistedpair writing prompt for a professional exchange session next week – instead of lecturing about some kind of technology tool or such. I’m not excited. No ideas. Maybe tomorrow.